This week’s topic was suggested to me by my father. It wasn’t something I was really aware of until he told me about it. Obviously, casualties do happen in the theatre of war, but the American troops who landed on Utah Beach on D-Day lost fewer men in that operation than they had in the practice operation beforehand. 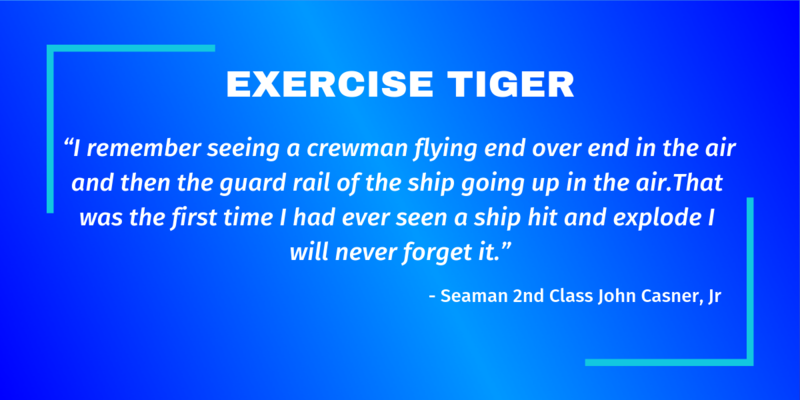 The casualties of Exercise Tiger were unexpected, unnecessary, and to an extent preventable. That they were afterwards forgotten to such an extent seems like salt in an already salted wound. 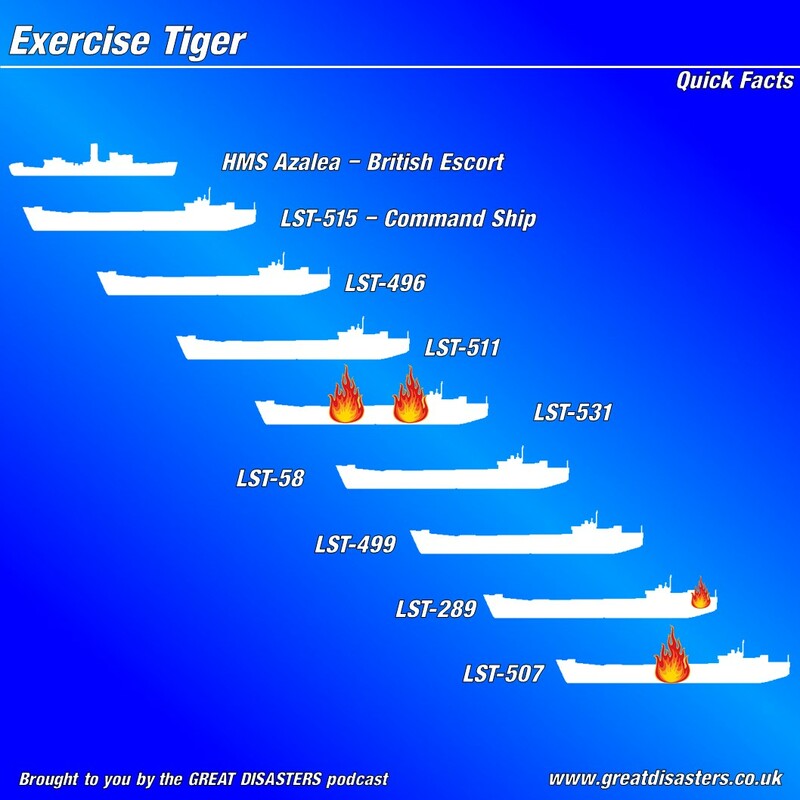 The infographic below shows the sailing order of the ships in T-4 Convoy, and which were struck by enemy torpedoes.